Stalwart of Pakistan Cricket Imran Khan formed his political party way back in 1996. I still remember that Zee News, a channel of India broke this news and everyone got excited of Imran Khan launching a political party. 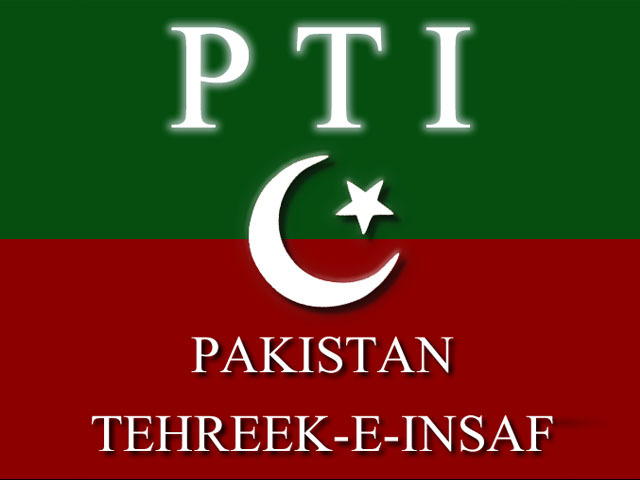 Imran Khan named his party Pakistan Tehreek-E-Insaf (PTI) with the sole purpose of providing justice to the deprived and underprivileged people of Pakistan. Imran Khan is the first person who talked openly about the flaws in country’s judicial system and may be the only person who entered the politics without being part of any dictator’s government. Imran Khan has a vision to improve the living standard of the people of Pakistan and to give them access to basic amenities like health, education, clean drinking water and a judicial system that will give quick justice to people from all strata of the society. Imran Khan’s Pakistan Tekreek-E-Insaf has so far participated in general elections three times. They won no seat in 1997 and won only 1 seat in 2002 general elections. They boycott the 2008 general elections but able to gain 28 seats in national assembly in 2013 general elections and also secured 7.7 million votes. Prior to 2013 general elections, PTI conducted a huge Jalsa in Lahore on October 30, 2011 and followed it up with another massive gathering at Quaid’s Mausoleum on 25th December 2011. These two jalsas and many more political gatherings raised hope that PTI will win 2013 general elections but unfortunately that did not happen. Although these Jalsas have given electable another platform to run their politics. Political enthusiasts like Shah Mehmood Qureshi, Javed Hashmi, Sardar Asif Ahmed Ali and many others joined PTI after these Jalsas to revive their sliding political career and contested in general elections on PTI’s ticket. PTI secured 7.7 million votes for national assembly seats in general elections 2013, which is approximately 0.8 million more than PPP, the party that scored 2nd position in 2013 General Elections. In the elections of 2013, this party won enough seats to form a coalition government in Khyber Pakhtunkhawa. Considering the dilapidated condition in which the Khyber Pakhtunkhawa province was in, when it was handed over to PTI, I think the overall performance of PTI government is satisfactory. This is one provincial government which is focusing on human development instead of building mega projects. They have improved the police system of the province and the natives of this province are satisfied of the reforms carried out in health and education sector. The billion tree tsunami project of PTI government, a one of its kind initiative received international recognition and is one of the great accomplishments of this political party. However irrespective of the performance of PTI government, I am dissatisfied with the choice of Pervez khattak as Chief Minister of Khyber Pakhtunkhawa. Pervez Khattak has landed in PTI after being affiliated with ANP, PPP and other parties. In my view a genuine PTI member someone like Asad Qaiser who started his politics from PTI would’ve been a better choice for this position. The Ex-Chief Minister left his party in hot waters when he failed to complete the Peshawar BTS project on schedule and now opponents are using this failure to highlight the inefficiency of PTI. Coming to general elections 2018, few months before elections, plethora of electable join PTI with the hope of reviving their politics and PTI accepted these electable in its fold with the hope of winning general elections 2018. Victory in elections and forming a government is a dream for any party but I am of the view that PTI will be better served if they lose the election instead of winning the same with these electables. These electables are powerful landlords and businessmen. They are the same people who violate laws by not paying their taxes or by creating hindrance in improving the health and education facilities in their localities. The electables belonging to rural areas prefer to stay in major cities. We in Karachi on daily basis witness that all or majority of MNAs and MPA who won seat from interior Sindh spend most of their days and nights in Karachi and rarely visit their constituency. In his talk with protestors outside his residence in Bani Gala few weeks ago, Imran Khan highlighted the importance of awarding tickets to electables and, I totally disagree with what he said. Imran Khan said that he awarded tickets to many electables because PTI is a political party that want to win elections. I think in elections or any other contest, victory is important but one cannot compromise principals for the sake of attaining victory. PTI in five years after 2013 elections, failed to strengthen or increase its vote bank instead they lost their voters at many places. Karachi is a case in point where PTI obtained more than 0.5 million votes in 2013 and surprise everyone with their performance. Had PTI worked with dedication in this city, restructure its party on grass root level, it may easily sweep Karachi in the face of crisis faced by MQM these days. Failure of PTI to strengthen its vote bank in Karachi forced it to rely on popular faces and this scenario put the loyal and enthusiastic candidates on the back burner. Unsatisfactory performance of Arif Alvi and Shafqat Mehmood, the sole representatives of their party from Karachi and Lahore respectively impacted PTI severely in these cities. Imran Khan presented an aggressive 100 days agenda. He also intended to revamp Federal Board of Revenue and other government institutions. I am sure that many feudal and big businessmen have joined PTI only for the sake of reaching the assemblies and these members will prove to be a biggest obstacle for Imran Khan and PTI in the implementation of their plans. Elections 2018 are now just few days away. 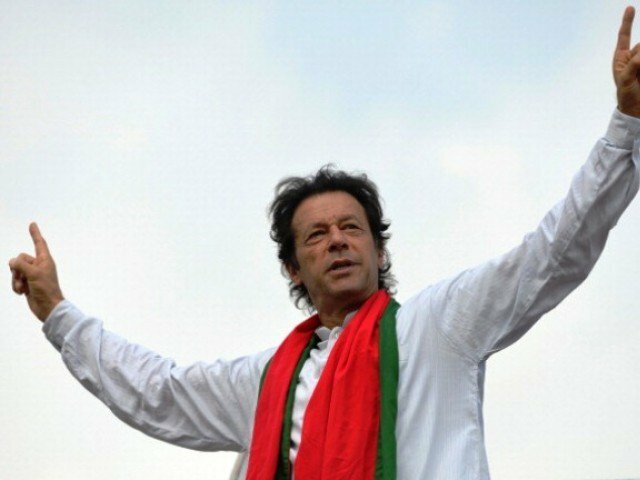 In this scenario, I am not concerned if PTI wins or loses but instead sad about the fact that a change maker instead of changing the system for the betterment, has become a part of the same system, against which once he raised the torch and started swimming with the flow instead of going against the tide.